Wagner VIII Map Projection Image, physical map. 15° graticule. Wagner VIII Map Projection Image by Tobias Jung is licensed under a Creative Commons Attribution-ShareAlike 4.0 International License. Image is based on Natural Earth II by Tom Patterson with darkened colors. 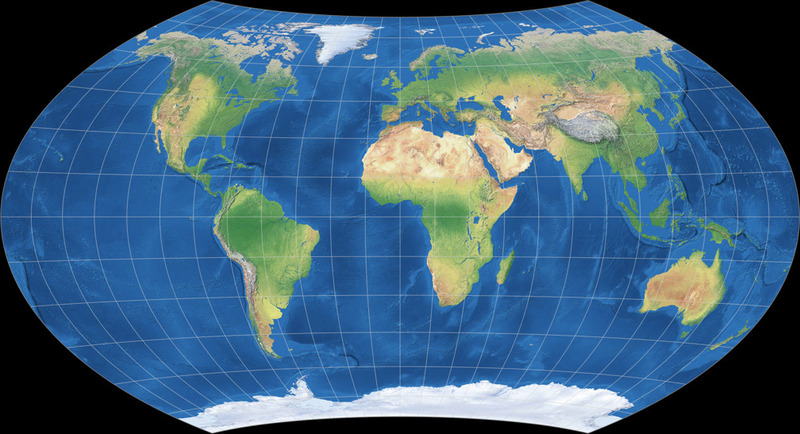 Generated with G.Projector, Geocart or Flex Projector. Political world map, projected to Wagner VIII Projection. Decorative world map, projected to Wagner VIII Projection.